The community of faith finds itself located precariously between Jesus' first and second comings, between the promise and fulfillment, between what God has begun in the gospel and what God has yet to complete. It thus finds itself proclaiming a gospel of life, love, hope, and faith in a world more characterized by death, hate, despair, and fear. The gospel insists that Jesus' death has shut the door on the age of violence and death, even as his resurrection has opened the door on the Age of Shalom and life. But in this tensive in-between time, those conflicting ages overlap, and the church struggles against powers and experiences that mock its message. Drawing on resources from the New Testament's vision of the apocalyptic gospel, Andre Resner urges the church and its preachers to engage in the linguistic practices of lament and proclamation as well as the embodied practices of justice-making and justice-keeping as counter-testimony to those powers that have been served notice in Jesus' life, death, and resurrection that their end is near. The reflections offered here model the kind of honest speech and risk of life to which the gospel calls its adherents. 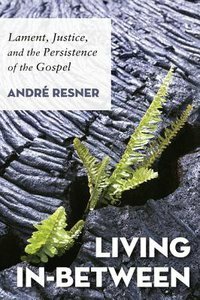 ""With an unabashed and prophetic honesty about suffering, lament, justice, and hope, Andre Resner calls the church to a faithful resistance--in both verbal and embodied protest--empowered by the theology of the apocalyptic reality of the gospel."" --Frank A. Thomas, Nettie Sweenie and Hugh Th. Miller Professor of Homiletics, Director of the Academy of Preaching and Celebration, Christian Theological Seminary ""In a world where televangelists and even some mainline preachers often resemble shady used car salesmen, Resner tells us the truth--all is not well in this world--even as he reminds us to hope in God who is working all things out. Rather than spouting pious platitudes or citing complex formulas and creeds, Resner gives us what the Bible itself offers: stories and testimony. If you can't buy a used car from him, buy this book. It tells the truth."" --Mike Graves, Wm. K. McElvaney Professor of Preaching and Worship, Saint Paul School of Theology ""This book is an honest reflection on the Christian life for those who know tear-stained hope as their food day and night. Andre Resner tells the truth and nothing but the truth about the gospel and God. It is a literary testimony to the persistence of a loving and just God amid times of sorrow and joy. There's no fluff here, just the raw faith of living in the presence of a crucified God."" --Luke A. Powery, Dean of the Chapel, Associate Professor of Homiletics, Duke University Andre Resner is Professor of Homiletics and Church Worship, and Director of the Chapel at Hood Theological Seminary. He is the author of Preacher and Cross: Person and Message in Theology and Rhetoric, and editor and contributor to Just Preaching: Prophetic Voices for Economic Justice, and, with Mike Graves, What's Right With Preaching Today? About "Living In-Between: Lament, Justice, and the Persistence of the Gospel"
Resner is assistant professor of Bible and preaching in the College of Biblical Studies at Abilene Christian University, Abilene, Texas.